When it came to back to school shopping, I took the same approach as I do with my own wardrobe. Fewer, better pieces. 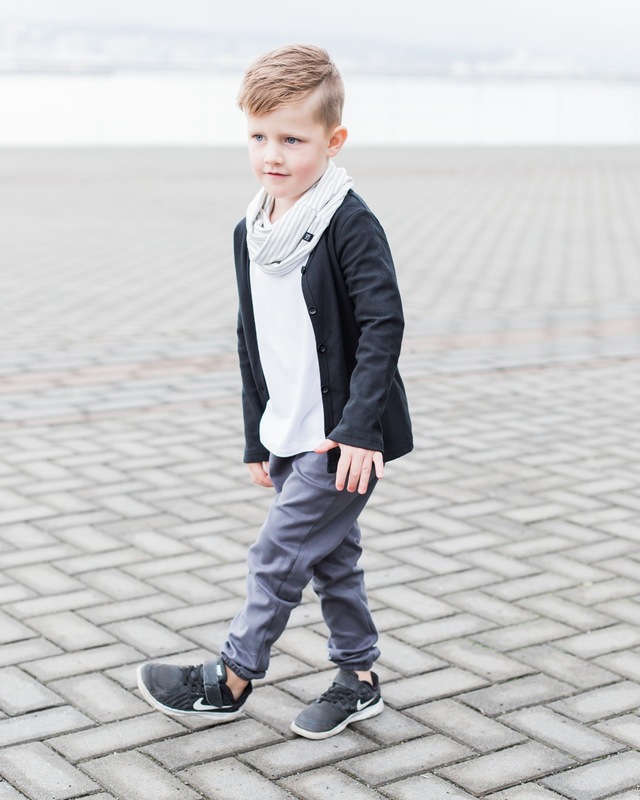 Building a good kid’s wardrobe starts with the same basics as adults: A few great t-shirts, pairs of pants, and a couple of sweaters, all of which that can be mixed and matched. Avoid the massive pile of clothes, AND have fun styling your kids! Sure, kids clothes are going to get dirty on the playground, but proper care (and some great working stain remover) can solve the problem! When I get asked about kids clothing, and what my favourite brands are, I always like to recommend local. Not only are you shopping from an independant brand, you are supporting the family behind it. The blood, sweat and tears that goes into creating these small, local businesses deserves to be recognized, supported and promoted. I feel very fortunate to have met some incredible mompreneurs in this city, who work so hard to produce locally made, unique pieces. When I heard that Vonbon was extending their sizes to 5T this season, they quickly jumped to the top of my list when it came to buying back to school clothes. Not only is owner, Jenn one of the sweetest and hard working mamas I know, her line is classic, and made with quality. She uses the softest organic cotton that wears so well, and everything from the styles to the sizing is on point. They include a basics collection in every season, and needless to say, screams my aesthetic to a tee! 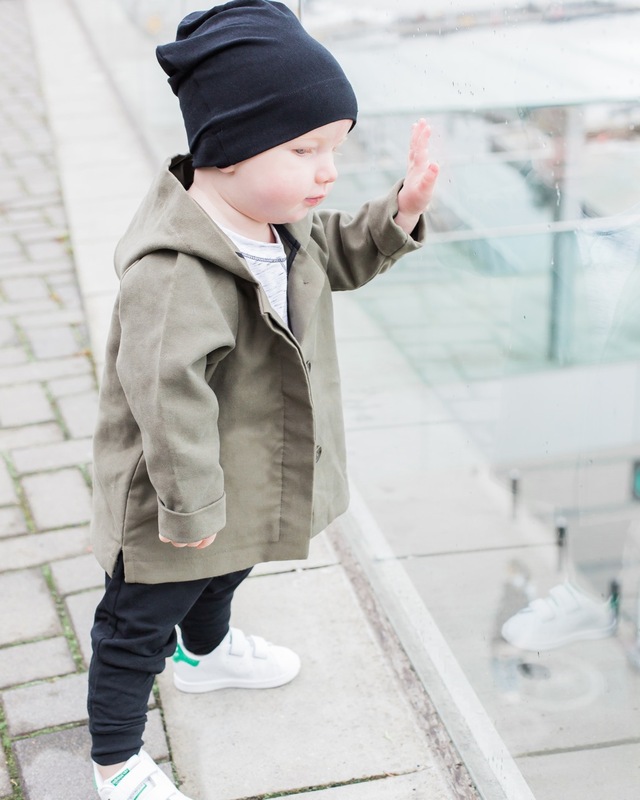 I would be lying if I said that I don’t like matching my boys to a certain extent, which isn’t hard when most of the colours in all of our closets combined is black, white and grey 😉 Her latest collection features these elastic cuffed joggers (seen on Kingston), and this cotton moleskin jacket with a water repellant finish (seen on Rex). A couple of new styles that I am LOVING, that much like many of the other pieces in the basics line, are completely gender neutral. 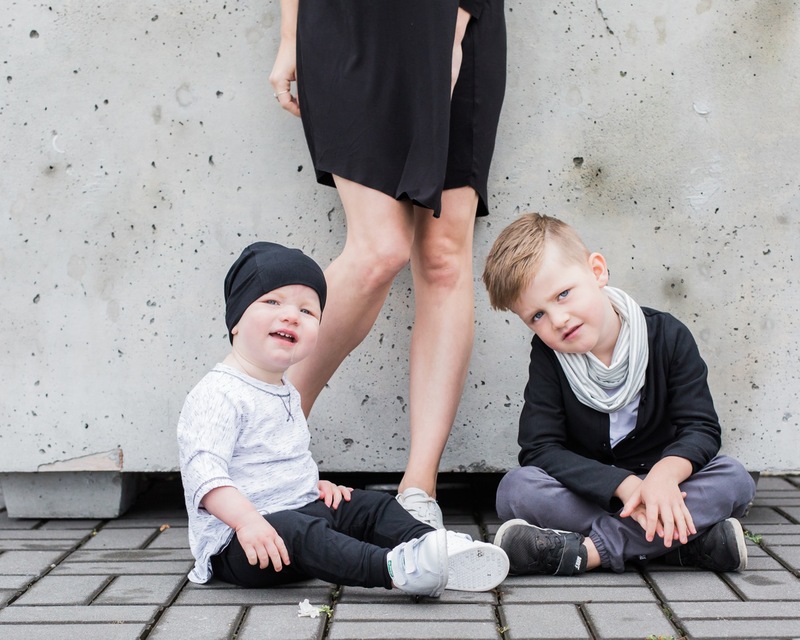 I teamed up with Vancouver based children’s and family photographer Sarb Glaze for a fun back to school shoot to showcase that building with basics works for the whole family 😉 The boys are wearing Vonbon, and I am wearing local designer Tessa Hughes (read full post on Tessa here). 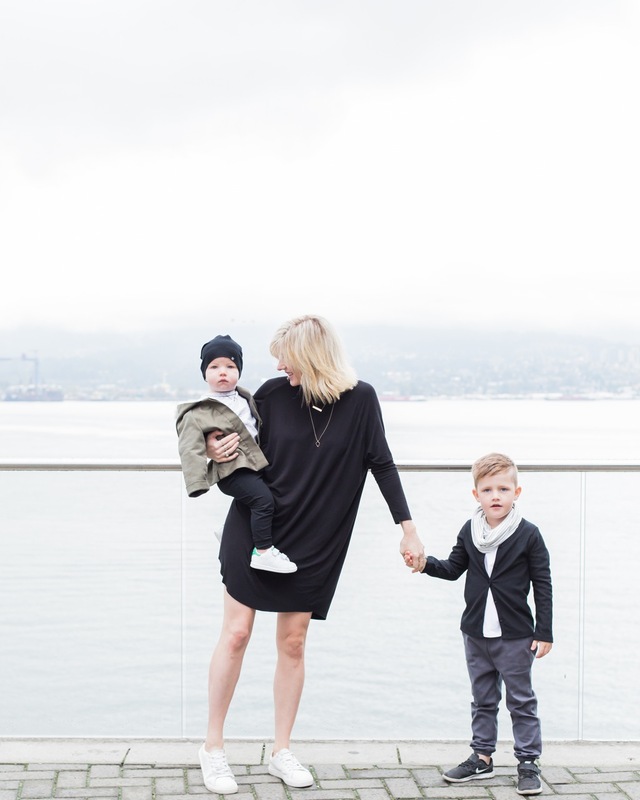 We are ALL happy to be in comfortable clothes, and for Mama, this is a #stylewin x 3. Easy, functional, and classic. I am so happy with how these photos turned out! Sarb is very talented, and as a mother herself, knows how to work well with photographing children! (If you could have only seen the behind scenes for this shoot!). Thanks Sarb! One lucky reader is going to have the opportunity to win a private children’s mini session with Sarb Glaze Photography. A small session for your littles, including one beautifully edited full resolution digital file (A $225 value!). To enter the contest, sign up for Sarb Glaze Photography’s newsletter at this link: http://bit.ly/2cbzpdj by September 30, 2016. Winner will be contacted directly. Contact Sarb Glaze Photography at hello@sarbglaze.com for full contest details. Check out her page on Facebook and Instagram! You write very well, Samantha.